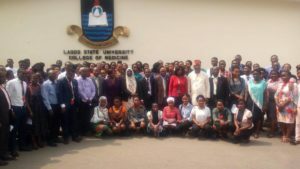 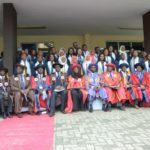 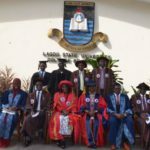 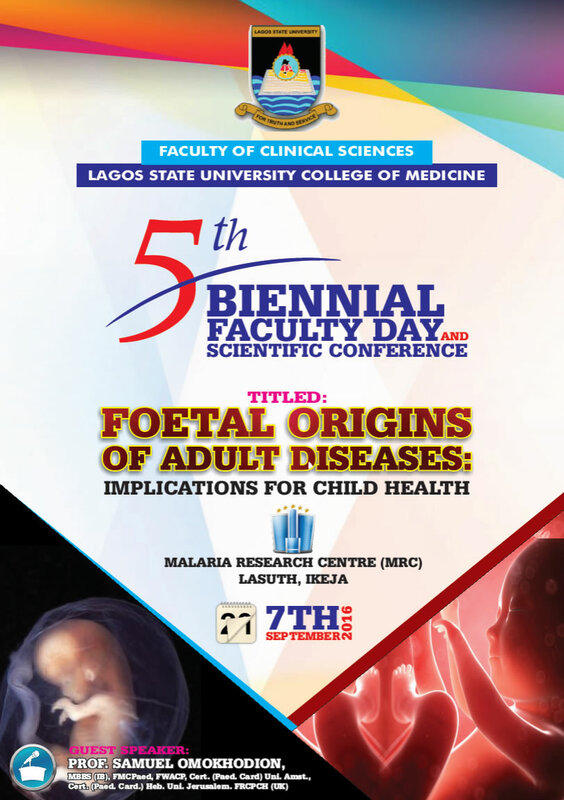 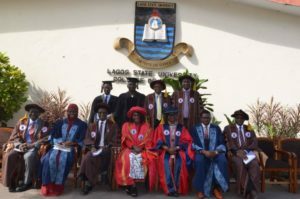 In it’s commitment to deliver qualitative and quantitative health care services to it’s citizenry, the Lagos State Government has produced another set of 37 New Medical Doctors though it’s citadel of Medical Education, Lagos State University College of Medicine (LASUCOM) on Monday 15th January 2018 at the MRC auditorium in the College premises in Ikeja. 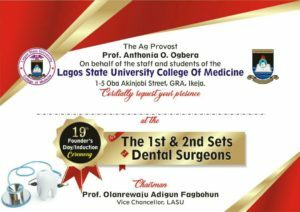 Welcoming the guests to the induction ceremony, the chairman of the occasion and Vice Chancellor of LASU Prof. Olaewaju Fagbohun congratulates the New Medical Doctors and advise them not to be carried away by the prestige of their profession. 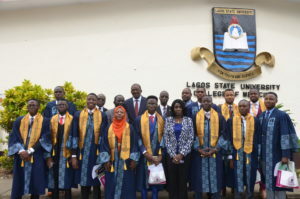 He admonished them to be humble and be respectful. He said” the world is another environment entirely which you most tour with ultmost caution. 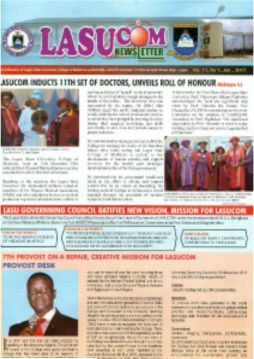 He emphasised that all over the world today, the cost of training a Medical Doctor is about $100,000, but the Lagos State government has been magnanimous enough to subsidise the cost of training Medical Doctors in LASUCOM to a very reasonable amount. 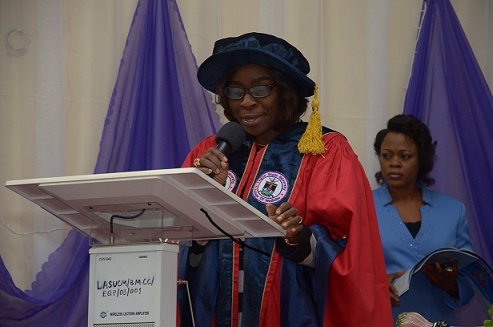 Earlier ,the Acting Provost Prof Anthonia Ogbera acknowledged the efforts of the State Government in the provision of Infrastructural facilities for the College which has really but her in the forefront of Medical Institution in Nigeria. 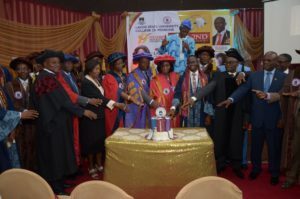 She went further to enumerate the College achievements for the past 18yrs of it’s establishment. 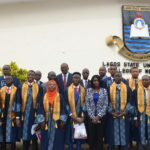 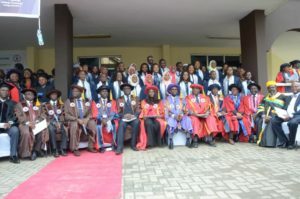 She said LASUCOM has produced 652 Medical Doctors till date, adding that the College is the only state owned University in Nigeria with accredited Dental programme and has inducted seven(7) Dentists last year with another set to follow soon . 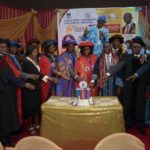 The Medical Elder, Olor’ogun Dr Sonny Kuku also eulogized the State government in it’s commitment in developing it’s Medical services.